Two months of waiting 'til this is out ain't so bad considering I've already waited for 5 years. I was prepared to give up on Knut (one of only two bands that ever convinced me to wear their hoodie), despite my undying reverence for their last record Terraformer (Hydra Head, 2005) and each of their previous Hydra Head releases. That remix album Alter from 2006 did nothing to assuage my slide into apathy. But now it looks like it's time to recalibrate my timeline. 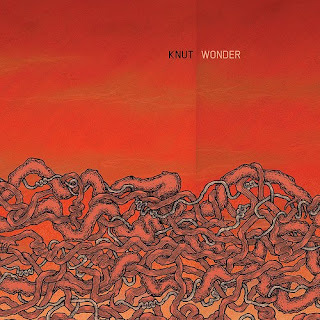 Hydra Head just announced the June 29th release of Knut's new album Wonder. It's reportedly both "A commentary on the human capacity for creative thought and numinous experience in the face of a violent and oppressive global-market ethos" and "Testament to our will for survival and defiance in times of adversity and crippling doubt." That's a lot of touting for 40 minutes of music, but I guess Knut have had plenty of time to develop creative thoughts about survival and defiance in the interim. So...is anyone else excited about Wonder? Click here, here, here and here to check out the progression of that glorious album cover by Aaron Turner. Ohhhhhhhhhhhhhhh yes. Very excited here as well. Knut have something that's very hard to pinpoint in their frozen, shattering riffs. I am. It's probably one of the most exciting band on HydraHead that is still active and still very much relevant. There isn't one bad record in their discography and they still sound unique. i really, really hated terraformer. when i think of knut i think of jagged angularity like unsane getting all mathcore and they just eliminated all of those elements on terraformer, going more for the flavor of the month neur-isis sound. i'd love to see a return to challenger's form. 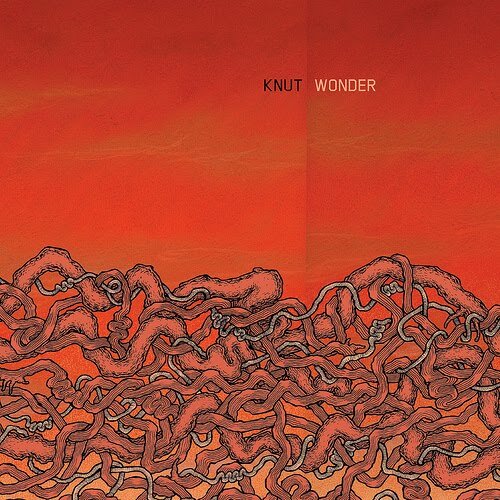 hey, there is a song from "Wonder" on the knut myspace page and it's called "Damned Extroverts"